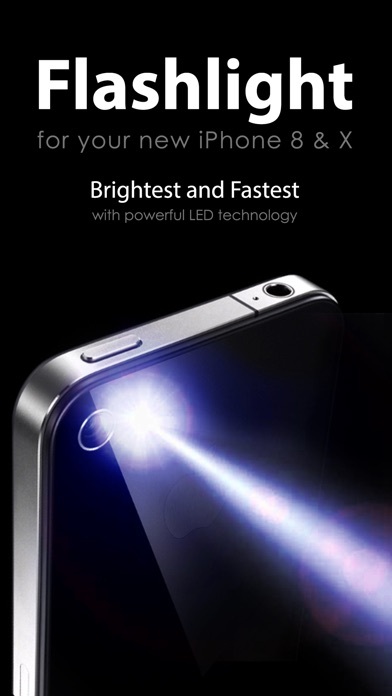 The brightest, fastest true flashlight in the AppStore that automatically turns on when you launch the application! Flashlight is the original and top selling application that turns your iPhone 8 or iPhone X into a real flashlight! This application uses the iPhone's flashlight to illuminate your world when you find yourself in a dark spot. This application is useful in a variety of situations: Reading a book in bed, reading a map in a car, help unlock your door at night, find your way in a dark room, or a thousand other issues. • Phone light too bright? Control brightness with ease. • Intuitive and elegant UI design. • Full support for iPhone X big screen. • Also works on iPhone 8, 7 and 6.